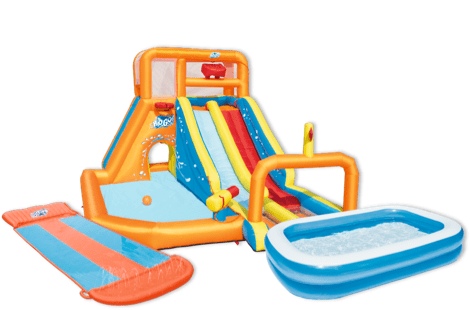 MAXIMIZE THE FUN OF YOUR POOL, LIVING ROOM, BACKYARD AND MORE WITH INNOVATIVE PLAY ITEMS FOCUSED ON JUMPING, SPLASHING AND SLIDING. Our massive collection of toys will have your kids cruising down slippery slides, bouncing the day away or enjoying the pool. With multiple brands operating around world, we’ve consolidated the toy category into three sections: water, grass and indoor. 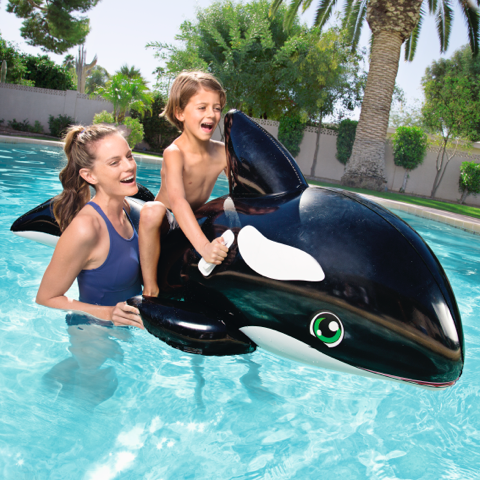 Our pool floats are seen around the world, bringing fun and function to customers looking to enjoy the pool, lake or beach. Climb aboard a giant party animal float or relax on a comfy lounge. 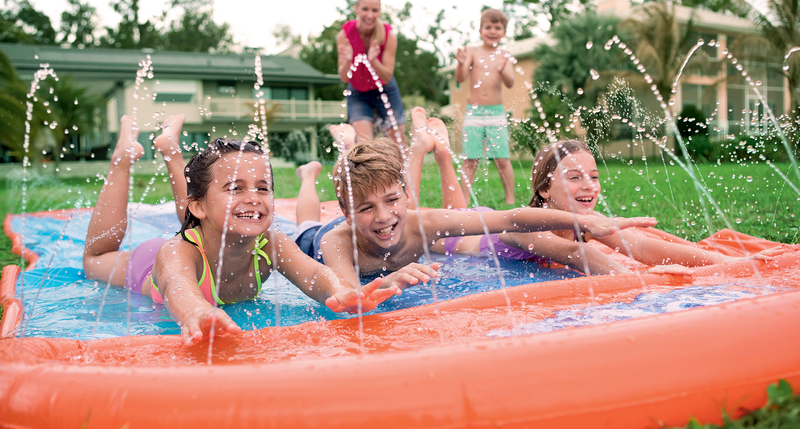 Our grass toy collection brings innovation to the traditional space of water slides, water parks and sprinklers. 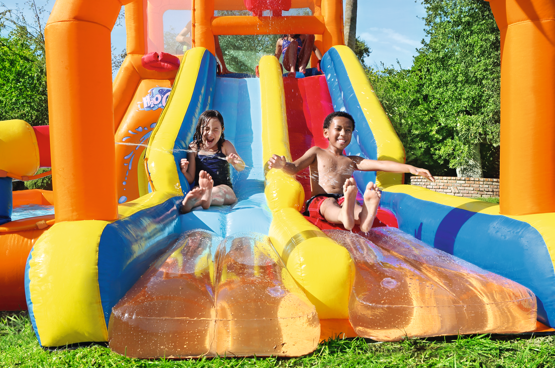 Popular options include water slides with built-in sprinklers and drench pools, even inflatable water parks with more features than a Swiss army knife. 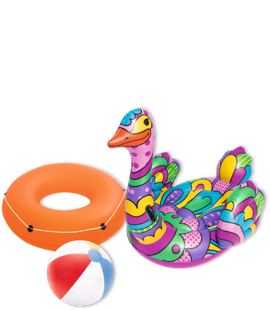 Each item is designed to be fun, affordable and brighten any kid’s day. 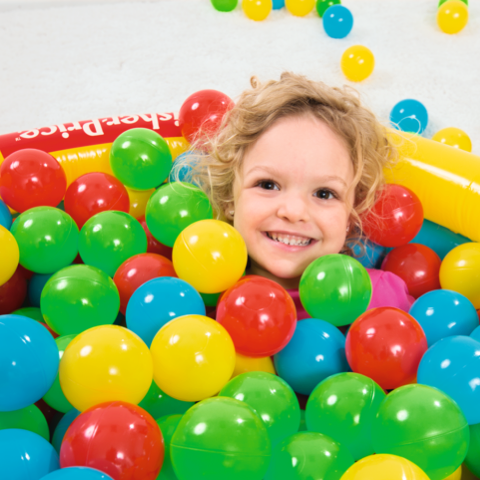 When the weather outside is frightful, Bestway indoor toys are, oh, so delightful! 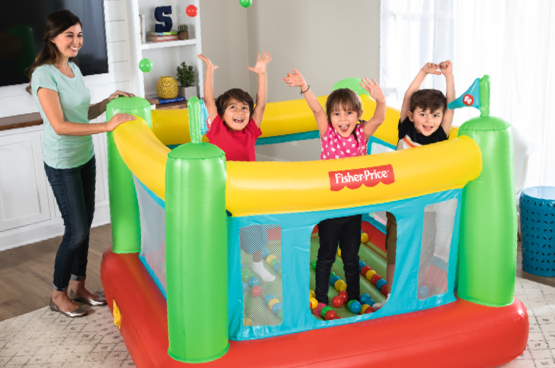 Bouncers with built-in pumps make for easy inflation while ball pits offer a safe haven for any toddler looking to explore. The world’s most beloved brands demand efficient manufacturing alongside innovative minds. That’s why these brands (and more) trust Bestway to deliver the best licensing, white-label and partnership solutions year-after-year. CLICK HERE for more information on our Disney Products! 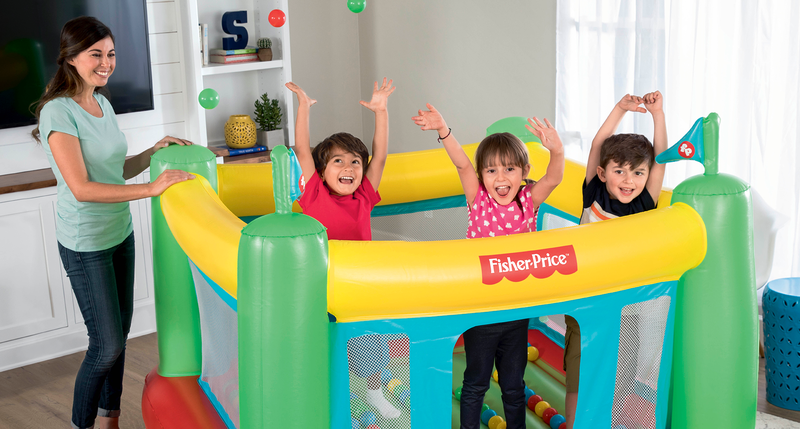 Fisher-Price and associated trademarks are owned by and used under license from Mattel. 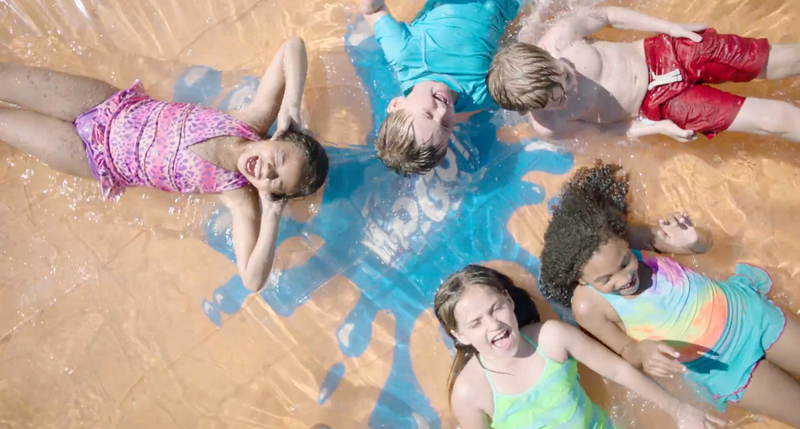 ©2019 Mattel, Inc.
WE SET OUT TO DELIVER MEMORABLE SPLASH EXPERIENCES WITH A SIMULTANEOUS FOCUS ON FUN AND SAFETY. TAKE A LOOK BEHIND THE SCENES. 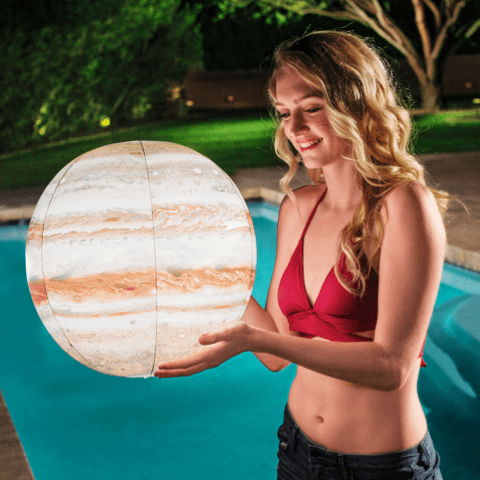 You’ve seen them in celebrity instagram feeds or floating around classy rooftop and resort pools — oftentimes those novelty pool floats you see were developed by the Bestway team. Our latest collection, inspired by 1950’s pop art, adds a new creative element and must-have style. 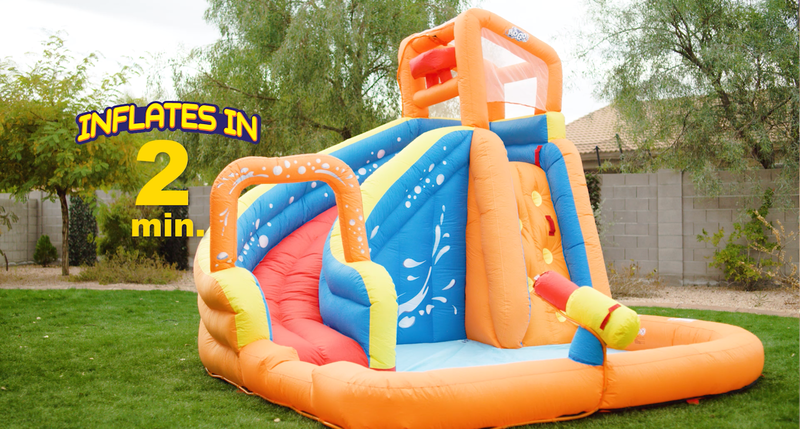 Bounce houses and jump castles used to be reserved for large birthday parties and special events. 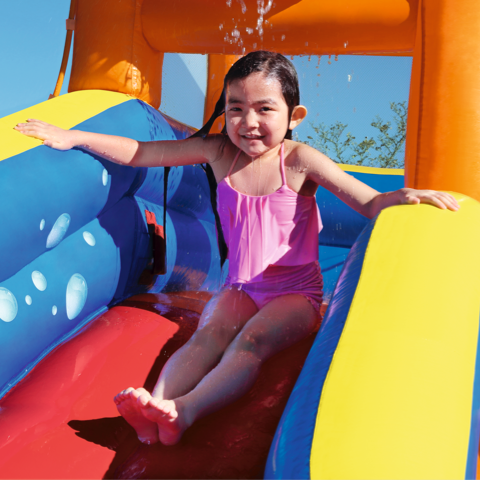 Mega water parks have revolutionized this ultra-fun pastime with inflated structures featuring slides, water blasters, soak tunnels, splash pools and more. 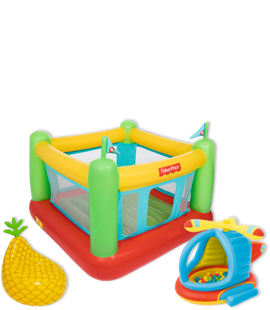 Our wide range of bouncers range in size, design and features. 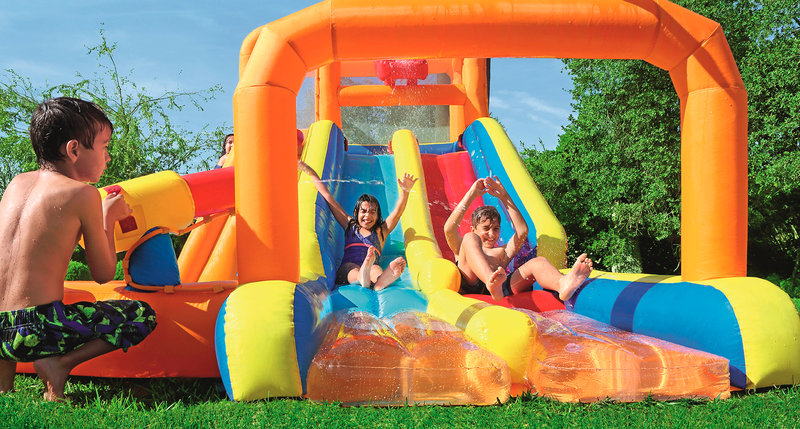 Industry leading features include built-in pumps that inflate and deflate bouncers in minutes. 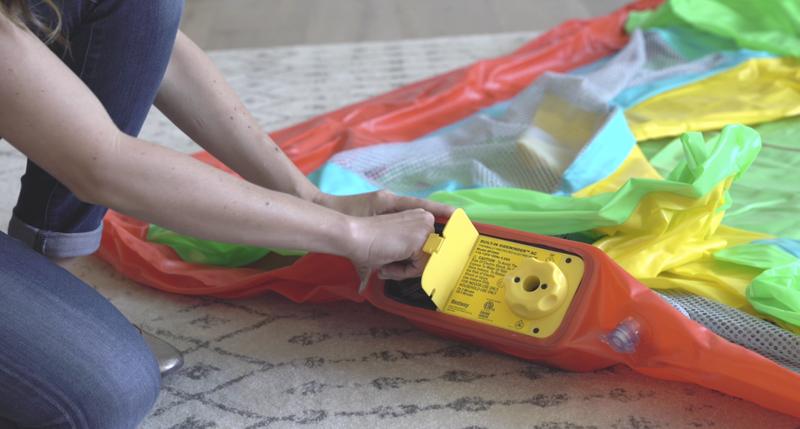 The automatic pumps are perfect for busy moms who need their hands free! Structures with single, non-removable doors also help with safe play. Mesh walls, ball mazes and modular constructions also fortify these bouncers.